The American Honor Quit Kit celebrates American patriotism with a vintage distressed look with an armed services panel. 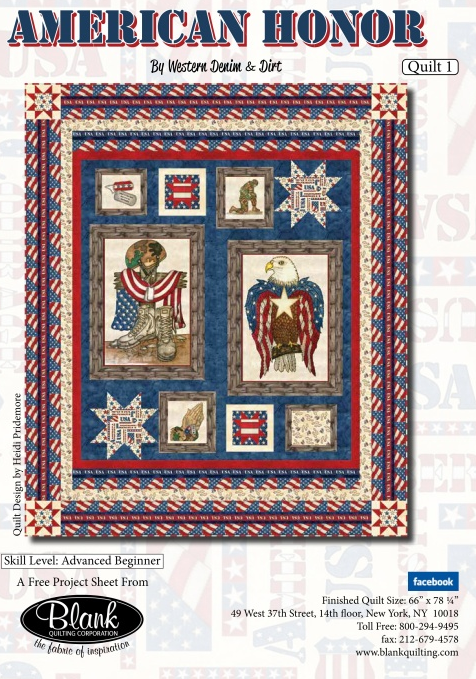 The American Honor quilt kit includes the pattern and the fabric for the top and binding. The finished quilt measures 66" x 78".